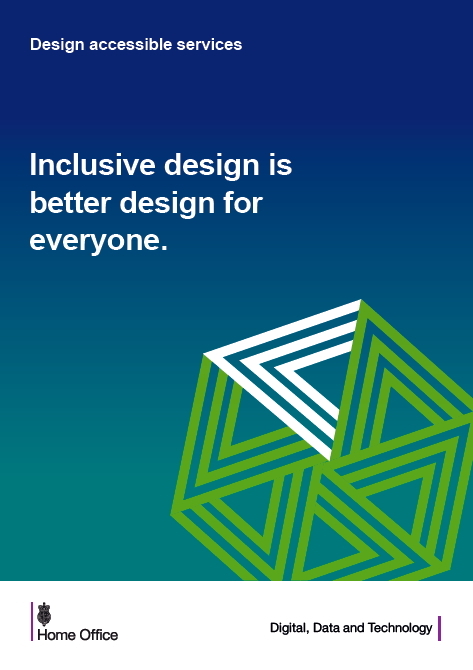 Inclusive design is better for everyone. Following on from the interest shown in a session, run by Ruth Graham and Sandy Alden, at the 2018 Learning and Teaching Conference, on designing inclusive learning, you can now sign up for two free online courses. Inclusive Learning and Teaching Environments and Digital Accessibility: Enabling Participation in the Information Society are both from the University of Southampton. Inclusive Learning and Teaching Environments runs from Sept 3rd for three weeks and is specifically for those working in Higher Education and interested in making elearning accessible to all. Explore the barriers experienced by disabled students and learn how to overcome these barriers through inclusive practices. Both courses are free, and offer practical hints and tips you can use straight away to make your own resources more inclusive. 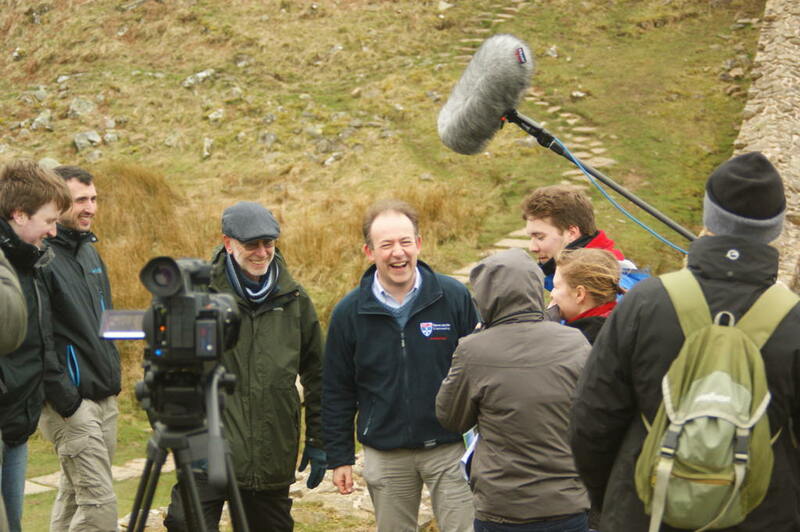 If you would like to find some of the diverse views on this topic you can watch this extra discussion that Professor Ian Haynes held with world experts on Hadrian’s Wall. Have their ideas changed your own thoughts at all? The LTDS Online Courses Team have been experimenting with a number of online tools to support team-working and in the process have become great fans of Trello. Trello gives us a live representation of the project and current responsibilities. It is easy for us to add new people to the Trello Board as the project progresses irrespective of where they are. To put on a course we bring together a team – academic colleagues, digital media, LTDS. We are in different locations, and our academic leads can often be off campus. An online tool works really well for us. 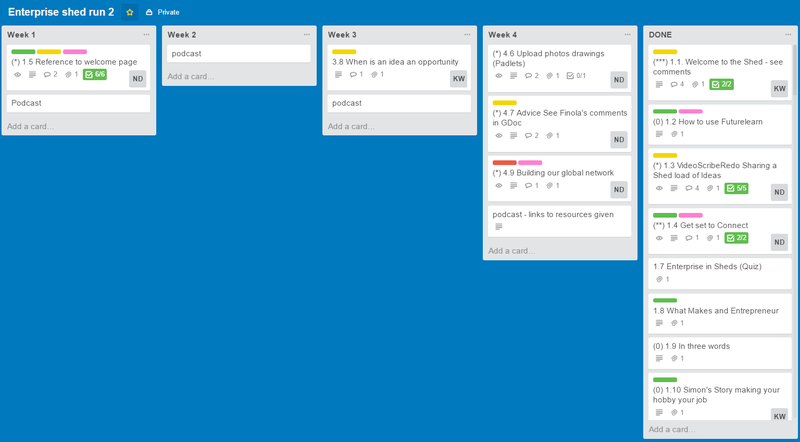 Trello comes into its own after we have done a good deal of planning (on Post-it notes and paper). We create a Trello List for each Week and give each step a Trello card. By mocking up the course in this way it makes it easy to check that we have variety of media/approaches and it enables us to experiment with different routes through the learner activities. If we think the content could be ordered better, then Trello allows us to drag and drop elements. We also tend to add extra Trello Lists to the board to share project documents and resources eg actions around Marketing. This gives us a a complete “dashboard” for the project. One of the best things about Trello is that it is so easy to customise to meet your needs. If you can agree conventions with your team before you start you will reap the rewards later. 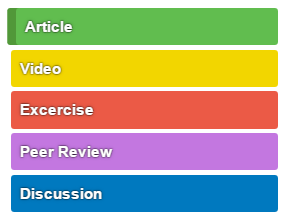 To help us see the mix of content in each week we defined labels that related to the activity type for each step, and applied these labels to the steps. 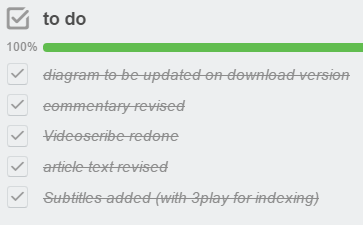 We added Trello checklist to steps to record work to be done and progress. We dragged cards which were finished to the “done” list once work on the associated step was complete. We put links on each card so that we could go straight to the step on the course. That way if you spotted your name on a card, had time to give you could click through and edit the course content in a couple of clicks. We added comments to Trello cards to remind ourselves of where we had got to, and to leave notes for other team members. It is mobile friendly – Trello works really well on phones and tablets and has mobile apps available from the relevant appstores. Trello has a good search function – eg “#video WEEK 2” gives the status of steps in Week 2 that have been labelled as video. Trello’s API means we can import/export to spreadsheets (http://www.littlebluemonkey.com/blog/online-scrum-tools-part-3-upload-existing-product-backlog-into-trello worked nicely! ); We experimented with putting the activity feed to Slack but it was a bit overwhelming! Keyboard shortcuts are well worth learning – my favourite: you can add yourself to a card by pressing spacebar. See the Trello.com for more details. 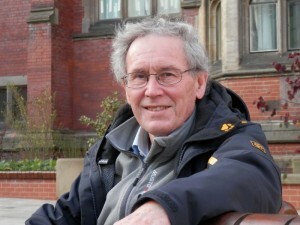 We don’t always find out about the next steps for our FutureLearners, so it was great to meet up with Bryan Wallace recently and hear how studying “Hadrian’s Wall: Life on the Roman Frontier” was a step on the ladder to signing up at for a part time Roman Frontier Studies MA here at Newcastle University. Bryan is the latest learner to be featured on the Meet the FutureLearners blog. The video presentation from Katie Wray (below) outlines her experience of translating classroom entrepreneurship education to an online course. We enjoyed working with Katie on delivering ‘The Enterprise Shed’, the third of our FutureLearn courses. Here she describes the process we went through and the pleasing results. See also “A toast to post it notes” for more details on how we planned the course together as we sought to make things as collaborative as possible. A learner from the Enterprise Shed (Newcastle University’s third MOOC) shared one of his favourite TED talks, in which Tom Wujec, a designer who has studied how we share and absorb information, explains how he watched many people try to effectively describe and solve a ‘wicked problem’, such as the best way to make toast. What was the most effective approach Wujec found? Getting people with a range of skills to work together with post-it notes and paper to perfect the workflow. Interestingly he suggests it is even more effective when they work silently. This struck a chord with us as we tend to work in similar ways when designing our MOOCs – though our team rarely work in silence (maybe something to try next time). We take cues from the JISC ViewPoints project and constructive alignment to plan and assemble each week of the course. With the academic team, we establish the audience, our motivations as well as those of the learners to clarify the aims and outcomes. We then use rolls of brown paper to create a course timeline, writing down what the learners must be able to do at the end of the course and for each week that they couldn’t do before they started. We ask how we/they will know they have attained this learning (some form of assessment in the loosest sense) and then plan activities and content that will get them to that point. Post-it notes have the great advantage of being movable, whilst also allowing multiple people to contribute and collaborate on the whole. This is something Wikis aim to allow (though not always successfully). Started with pen and paper, rather than technology, helps us collectively produce something we can use very quickly and without many of the restrictions electronic tools tend to entail. As my colleague Nuala says, technology can get in the way at this stage. Once planned on paper, we have found that using Trello is a bit like using post-it notes online, but with added ‘to do list’ and project management functionality. After planning on paper and in Trello, we then create the shell of the course in the FutureLearn platform. This helps visualise and restructure further, before testing on willing guinea pigs, and changing the design again. The bits we change and iterate the most tend to be the highest quality and most positively received elements of our courses. MOOCs themselves can become great collaborative spaces. We had many wonderful contributions from learners on our courses. For The Enterprise Shed, this was one of the lead-educator Katie Wray’s aims. The whole course was a bit like a World Cafe. We did as much as we could with the tools available to aid collaboration. We crowd-sourced ideas links and videos (including favourite TED talks such as the one at the start of this post) . Learners also shared designs through Padlet, another free collaborative technology which is a bit like paper and post-it notes. This is a great tool for sharing, but it could do with a commenting feature to facilitate feedback on posts. Learners were able to gave each other feedback on ideas through comments in discussion and through the peer review tool in the platform.This was a really valuable element of the course, and something we would like to do more of. One of the tension for us with our courses at present is that the busier they are (the more active users) the harder it is to track what is going on in discussion boards, both for us and for the learners. It would be great if learners could tag posts so that people could find like-minded people and relevant posts more easily. Small group discussions are coming in FutureLearn, but it will be wonderful if tools within MOOCs could be developed to aid the formation of groups around shared interests. Better still if we could have tools to collaborate in a way more like being in a room with paper and post it notes. We could really make a virtue of the Massive in MOOCs if we had these tools. On our second run of Hadrian’s Wall we’ll be using this blog to address some of the frequently asked questions that arise on the course. A couple of learners have asked about the length of the videos. You’ll find that all of our videos are under 5 minutes in length. That has been done intentionally so that no single step requires too much time. While this can be disappointing for a topic you are interested in, it works very well in practice, particularly if you consider the course in full with approximately 20 steps in each of 6 weeks. The short videos also force the educator to distil in a clear way what the main points are. We know from research (eg this paper from Philip Guo) that when videos are longer that learners can lose interest. If you’d like to read a little more about some of our thinking on building the course have a look at our blog post on Educational Vodka. We have had so many words of wisdom and so much great footage from the Enterprise Shed. One clip we didn’t manage to include in the course is Sugata’s explanation of two very different kinds of entrepreneur: the aggressively directed entrepreneur and the reluctant entrepreneur. One of the great things about FutureLearn is the opportunity to work with partner institutions. For example, we have seem many synergies between our Hadrian’s Wall course and Southampton University’s Archaeology of Portus. We see learners in Hadrian’s Wall discussing and recommending Portus or referring to specific steps and activities, and even continuing dialogue with fellow learners they met through Portus. 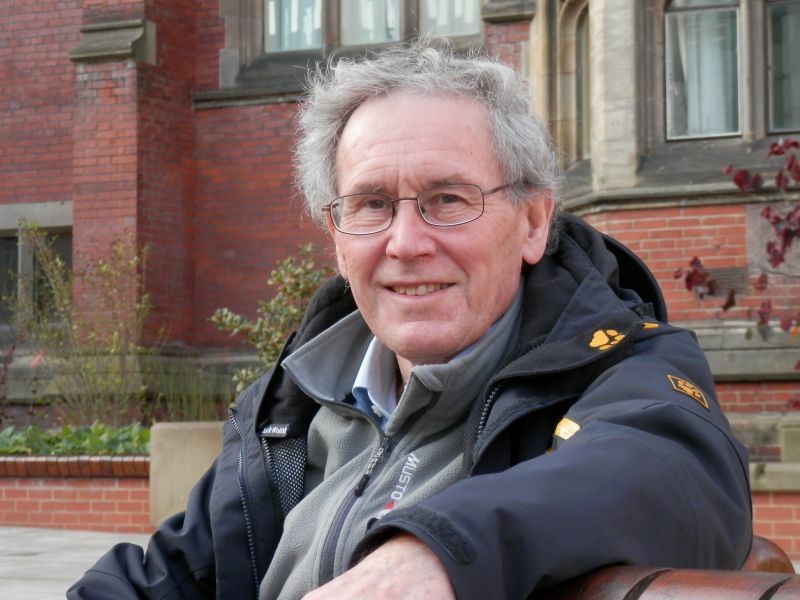 Professor Graeme Earle (lead educator on Portus) has added links between steps in the Archaeology of Portus and other MOOCs including Hadrian’s Wall, which we have reciprocated. Learners can more easily see and follow connections between the courses (see links below the two courses below). Currently, users have to be signed up to both courses for this to work. If FutureLearn realise the plan to make individual steps more open (viewable without signing up to the course) this will become even more powerful. Aerial photography and LiDAR What does aerial photography tell us about the Roman advance? Aerial photography and LiDAR Which archaeological features can you identify from these aerial photographs? The Trajanic ports Can you read a tombstone?